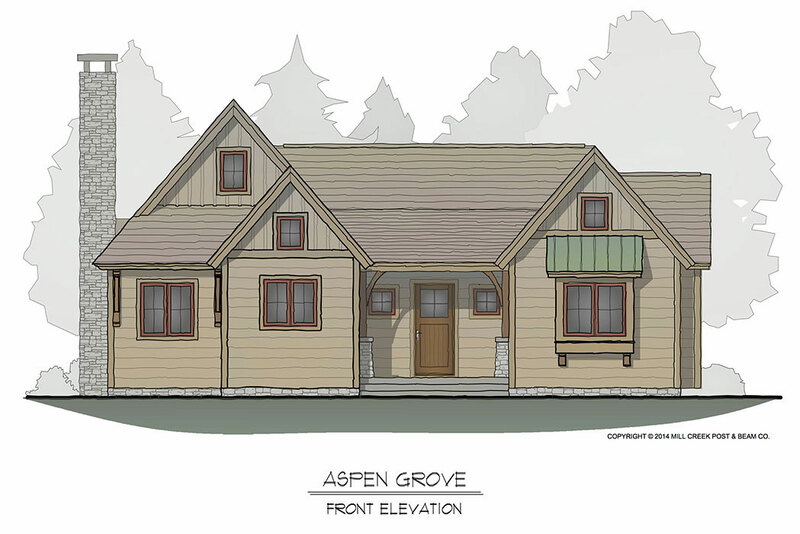 From the attractive front facade to vaulted living spaces and an open floor plan, this design has the character that makes a painting-perfect cottage. 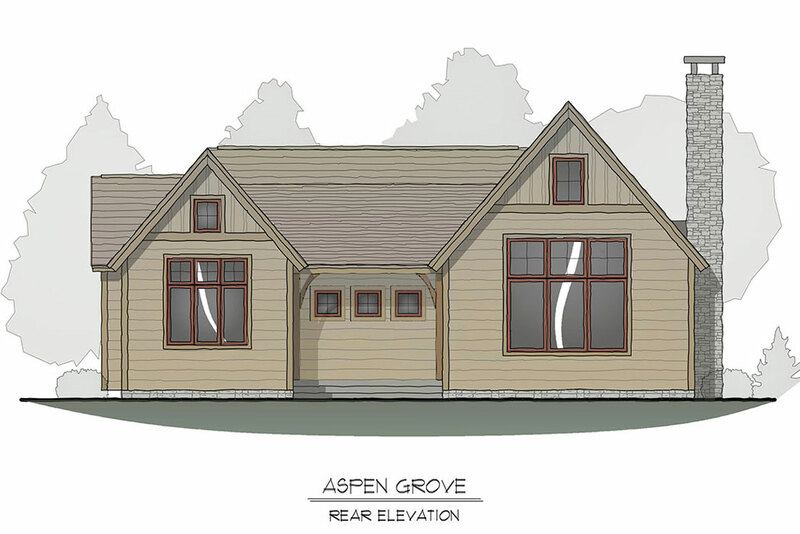 Wrapped into a cozy 1,030 heated square feet, the Aspen Grove offers endless possibilities for expanded living spaces and transitions into outdoor living areas. 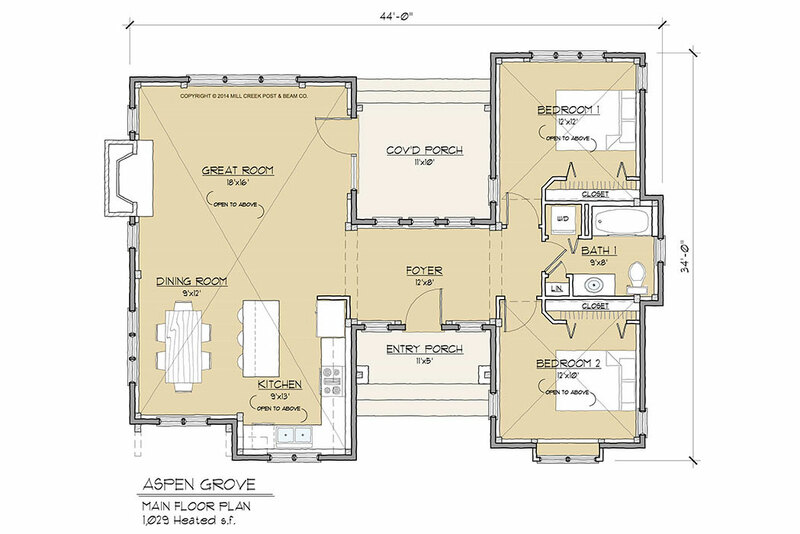 A lower level may be added to mold the Aspen onto your build site and expand your living space. Add ample square footage with a full or partial basement.